Step by step, they have discovered, explored, produced, and given their seal of approval to vintage after vintage, and vat after vat. Thair sole motto – quality, authenticity, and the end product. Over the years, never with complete assurance, but always with great conviction and passion, they have highlighted the fantastic potential of this vineyard. In just a few years, their range of wine has expanded and developed. 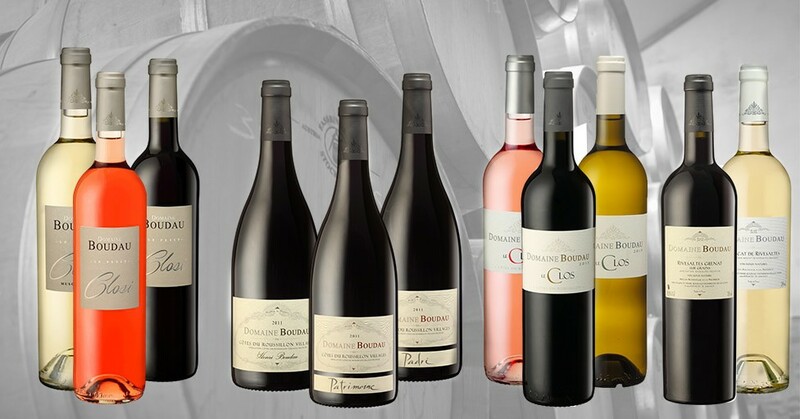 From fresh local wines, to Vins Doux Naturels ( naturally sweet fortified wines), not forgetting the very bold, sophisticated flavours of Côtes du Roussillon Villages. All of the estate’s vintages are firm favourites, and reflect their passion for wine. The entire estate is run with the utmost discipline: everything is put in place to allow the vines to grow naturally and produce a balanced yield. All of these aspects form the basis for producing rich, well-structured and complex wines. A very significant part of the production process relies on people. Benoit Vergé, the vineyard manager, leads a team of 5 permanent employees, supplemented by seasonal staff. There are no herbicides used; rather, the strict management of the soil tillage allows the ground to maintain its biodiversity, thereby avoiding a battle for water between grapevines and weeds. For over a decade, Sandra has supported us in marketing our products. She brings the tasting room to life with her passion, and shares her wealth of knowledge about the estate’s wines. The southern-most vineyard in France, on the Mediterranean coast, only a few kilometres from the Spanish border, Roussillon benefits from ideal weather conditions and exceptional soil. Located at the entrance to the Agly valley, exclusively in the PDO (Protected Designation of Origin) area, the Boudau estate predominantly produces Côtes du Roussillon Villages, Côtes du Roussillon and Vins Doux Naturels. These yields are naturally restricted to 30 hl/ha. Established in the 1920s by Hippolyte Boudau, with only a few vineyard plots, the Boudau estate started to grow in the post-war period. After his death in 1940, it was his son, Henri, who took over the operation and who guided the estate towards becoming an independent winery. It was a very successful time for the Vins Doux Naturels – carried by major national brands, bottles of Muscat de Rivesaltes and Rivesaltes were sitting on tables and bars all over France. The estate did not produce a single dry wine during this period. His passion for wine, and his vision for viticulture, drove him to plant a high percentage of Grenache Noir grapes, which had the potential to be repurposed for dry wine production. He selected the crops himself from the famous Châteauneuf vineyards. At that time, when most people would choose grape varieties with higher yields, he opted for a temperamental variety with fantastic potential, which could grow in the clay-limestone soil of the estate, an environment where it could thrive. In 1967, Henri died suddenly at the age of 44, leaving a 60-hectare estate, dedicated to producing Vins Doux Naturels, to his wife, Anne-Marie, and his three young children. Anne-Marie established a reputation for the estate, by producing very popular Muscat de Rivesaltes and Rivesaltes which won a special judges’ award during the Vinexpo (wine exhibition) in 1983. Following the same strategy, the estate settled at its current 50-hectare size. But the market for Vins Doux Naturels ran out of steam, and the late 1980s were very difficult years for this traditional Roussillon operation. In 1992, a decision needed to be taken – the estate had to evolve into a producer of dry wine and showcase the fabulous potential of its soil. In 1993, her two youngest children, Véronique and Pierre, left their respective professional careers behind, and took on the challenge. It was the beginning of a new chapter, full of hope and ambition. 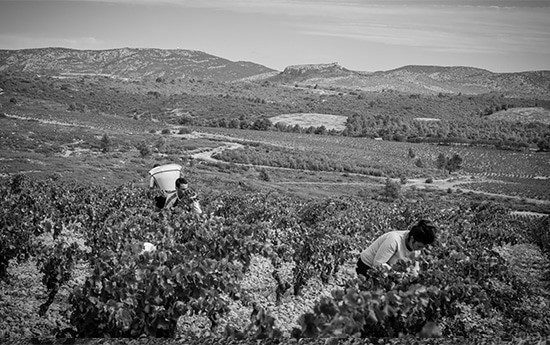 Their goal – to achieve recognition for the Roussillon soil and for an estate which had great sentimental value. 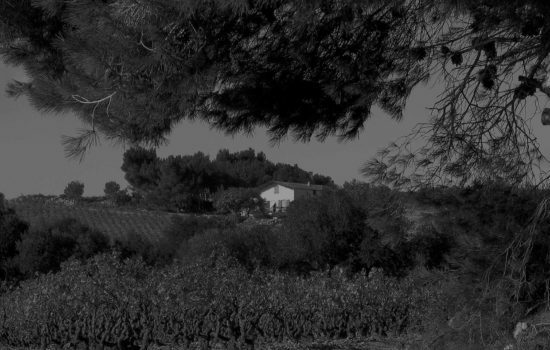 In the first foothills of the Corbières Range, at the entrance to the Agly valley, in the villages of Salses and Espira de l’Agly, this 23-hectare continuous estate sits on clay-limestone soil on top of bedrock. The steep hills and slopes are south-east facing and happily benefit from the strong northern wind and the sea breezes. Here, Grenache and Syrah, with naturally very low yields (15-20 hectolitres/hectare), can reach their full potential, producing high-quality vintages of Côtes du Roussillon Villages. On the Baixas plateau, in the village of Baho, this 27-hectare estate, which is similarly continuous, sits on a quaternary terrace with clay-limestone soil. This is prime land for these fifty-year-old Grenache vines, with large, rounded river pebbles, which, after spells of good weather, release all of the heat they have stored during the day, at night. The Grenache grape variety expresses this perfectly, naturally reaching very high degrees of ripeness. In recent years, Véronique and Pierre have planted additional Malvoisie, Maccabeu, Grenache Blanc and Vermentino grape varieties across more than 4 hectares of land. Very soon, these new crops will expand their production with a new range of promising white wines. The grape harvest, carried out entirely by hand, starts in the second week of August with the earliest ripening varieties, and ends in the first week of October with the third-generation varieties, such as Mourvèdre. The harvest from each plot is fermented separately, in order to reproduce the complexity of the soil. Renovated in 1999, the old cellar can nowadays be relied upon to carry out ever more rigorous winemaking processes. Given the estate’s growth, building work for a new cellar is underway. More space and additional vats will help to take our operation to the next level. Each vat will be fermented in such a way that the pure character of the grape variety, and its interaction with the soil, can be preserved with each vintage. And, then, to the task of wine blending, where Véronique, Pierre, Benoit, and Brigitte, their wine expert, will taste each vat together. The local wines and the Muscats will be bottled very quickly, to trap all of the primary aromas. The Côtes du Roussillon and Côtes du Roussillon Villages will be aged in casks or in vats, for a certain time, in an air-conditioned cellar. As for the Rivesaltes, they will be bottled from late winter until April, and will be sold a year after their harvest.